A cheeky, stripe-shirted, invisible ladder-climbing public nuisance? The solitary practitioner Dustin Hoffman wordlessly toppled in the 1982 film Tootsie? Ah ha, and what does the name “Marcel Marceau" bring to mind? The cheeky, stripe shirted, butterfly chasing Bip (who maybe causes you to cringe a little, despite his creator’s reputation as a great artist)? I was surprised to learn that he was a former French Resistance fighter, whose first review was printed in Stars and Stripes after he accepted an American general’s spur of the moment invitation to perform for 3,000 GIs in 1945 Frankfurt. 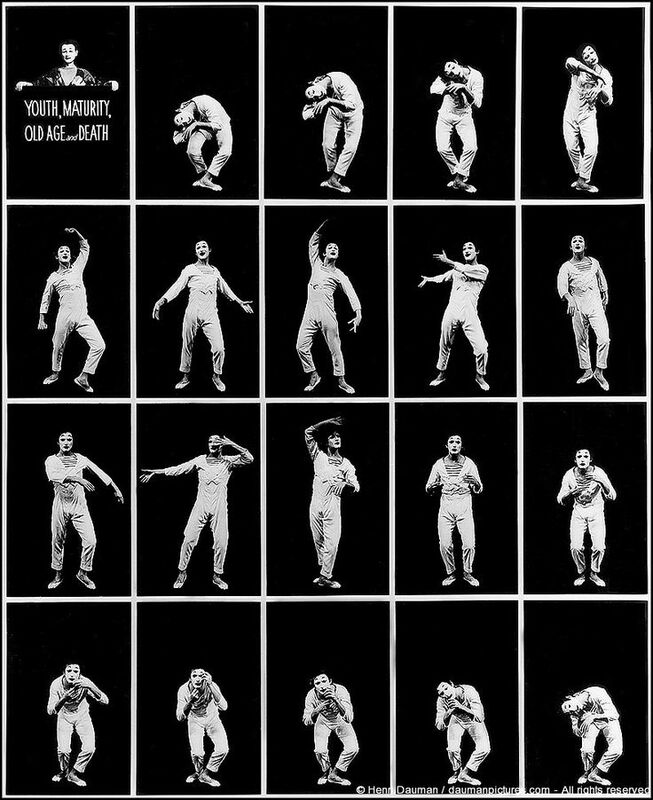 Observe the 1975 performance that filmmaker John Barnes captured for his series Marcel Marceau's Art of Silence, below. Nothing left to chance there, from the timing of the smallest abdominal isolations to the angle of his head in the final tableau. When I started, I hunted butterflies. Later, I began to remember the war and I began to dig deeper, into misery, into solitude, into the fight of human souls against robots. This would seem to support the theory that maturity is a side effect of age. His alter ego Bip's legacy may be the infernal invisible ropes and glass cages that are a mime's stock in trade, but distilling human experience to its purest expression was the basis of Marceau’s silent art. He feels his advancing age and fears that the art of mime will die with him. It’s a transitory, ephemeral art, he explains, as it exists only in the moment. As an old man, he works harder than ever, performing three hundred times a year, teaching four hours a day. He is named the UN Ambassador for Aging. Five nights a week he smears the white paint over his face, draws in the red bud at the center of his lips, follows the line of his eyelid with a black pencil. And then takes to the stage, his sideburns frayed, his hair dyed chestnut and combed forward, looking like a toupee. His body is as elastic as ever, but the old suit of Bip hangs loose on him now. Beneath the whitened jawline is a baggy, sinewy neck. With each contortion of his face, the white paint reveals deep lines. At the end of his show, he folds in a deep bow and the knobs of his spine show above the low cut of Bip’s Breton top.